We not only make effective products but also mould effective people! Happy teams not just contribute more, they contribute better. Work environments where people are respected, encouraged to express their ideas and valued, always create a positive effect on people. 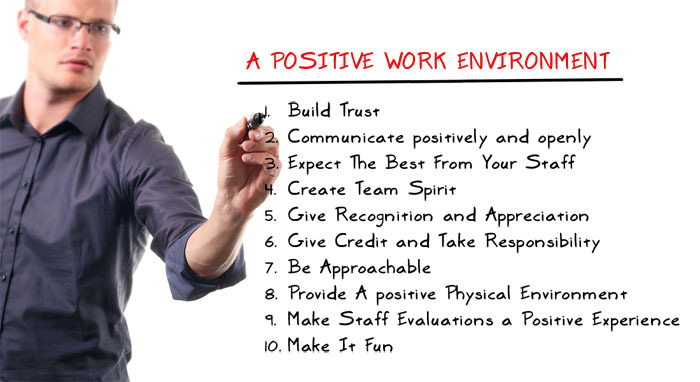 A constructive working environment is essential for any organization to run smoothly. The attitude of every individual counts. Positive attitudes of each individual automatically propagate positive attitudes throughout the organization and this fosters an ecosystem of trust and loyalty. People are seen to contribute their best when they are encouraged to think creatively and they feel that their contributions are appreciated. This helps them to strive even better to realize their potential. As a family, we at Citrus Informatics strives to achieve an atmosphere of confidence and mutual support, where every team member confidently contributes to their team and the team leader supports each team member. Ideas and opinions are appreciated and debating of ideas is encouraged to bring out the finest of ideas. We believe that challenging and interesting assignments make people think and help bring out the best in them. Giving people the opportunity to work on the latest technologies and providing ample opportunities for improvement help us to keep our staff energetic and happy. We have promoted an environment where team members take collective ownership in getting things done and bringing projects to a completion. Despite the open approach that we follow, every project is executed using well defined processes and standards. The Citrus family is formed by hiring the best in the industry and is maintained by providing competitive pay packages and a clear organizational mission. We cultivate a winning work culture by careful planning and nurturing. We maintain an open door policy where communication is open to all and anyone can communicate even with the top management. Above all, we understand that a work life balance is required for team members to function well and hence we try to support this through various initiatives. Working with us will be an experience that you will cherish and value. Working with us, you get the opportunity to contribute towards making better changes to the industry and to the world we live in. You get to work in an environment built on our core principles of reliability, integrity and trust. Everyone is encouraged to bring forth ideas and contribute their best. Every creative thought and opinion is valued. We provide an environment of continuous learning and support that will foster your abilities and help you realize your potential. As part of our expansion, we are looking for highly competent people with the right skill sets, research mind, aptitude and passion to work in cutting-edge technologies. Our company offers excellent salary packages and a very cordial work environment. The candidate must have a B.Tech/MSc/M.C.A/M.Tech degree in Computer Science and have 9-12 years of experience in managing/working on international projects. Experience working and leading projects in multiple platforms/technology (preferably multiple areas from JEE/.NET/C++/VC++/PHP/MobileApps). Knowledge of Database and in depth experience working with RDBMS like SQL Server, MySQL, PostgreSQL is required. Experience in data mining, data warehousing and the use of ETL tools will be a plus. Strong design and analytical skills with knowledge of OOP Concepts, UML and Design Patterns. Must have experience with team building and excellent communication skills (verbal, written and presentations). Proven organizational, problem solving, planning, and reporting skills. PMP/Prince2 certifications will be an added advantage. Day-to-day management of the development teams consisting of technical leads, developers and testers and ensure flow of relevant information to all members of the team. Hold meetings with customer in gathering requirements, aid with design and analysis and ensure the execution of projects successfully to completion. 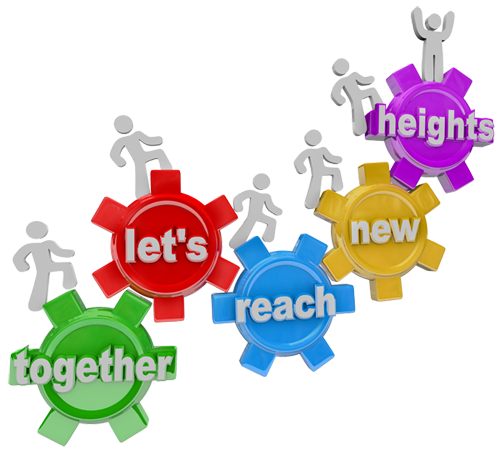 Communicate regularly with customers to keep them updated on the project progress. Be able to handle changing requirements, ensure scope completion within time, budget and quality requirements of the customer. Identify roadblocks and address them beforehand. Religiously adhere and execute organization’s standards and processes. Be creative to implementing processes for continuous improvement of the organization. Candidates with B.Tech/MSc/MCA/M.Tech in Computer Science with 8 - 12 years experience in the IT industry are needed. Candidates with QA/testing experience in Web & Mobile Manual & Automated Testing with a good development background is preferred. Hands-on experience with testing tools and Automated Test Driven Development is required. Experience in testing with different Mobile platforms (Android, iOS etc) is an added plus. Experience writing and executing test plans/cases within an agile environment, experience in Performance, Load, Security manual & automated testing is required. Familiarity with software quality assurance processes and software testing best practices, excellent analytical and problem solving skills to identify programming errors or inconsistencies is needed. Must possess excellent communication and interpersonal skills to facilitate easy and clear communication between clients, the quality team and the development team. Must have leadership skills and must be well organized with great attention to detail. Must have the ability to attend client meetings, understand and translate business needs into test requirements. Candidates with B.Tech/MSc/MCA/M.Tech in Computer Science with 2-6 years of relevant experience in medium to large-scale software development organizations are needed. Excellent communication skills and team player attributes are required. Industry experience in application development using Drupal/Wordpress/PHP/MySQL is essential. Candidates with B.Tech/MSc/MCA/M.Tech in Computer Science with 2-6 years of relevant experience in medium to large-scale software development organizations are needed. Excellent communication skills and team player attributes are required. Industry experience in application development using ASP.NET/C#/SQL Server is essential. Candidates with B.Tech/MSc/MCA/M.Tech in Computer Science with 2-6 years of relevant experience in medium to large-scale software development organizations are needed. Excellent communication skills and team player attributes are required. Industry experience in application development using Java/JEE/JSP/Servlet/JDBC/Spring/Hibernate is essential. Candidates with B.Tech/MSc/MCA/M.Tech in Computer Science with 2-4 years of relevant experience in medium to large-scale software development organizations are needed. Excellent communication skills and team player attributes are required. Industry experience in application development using WinCE/Windows Mobile/iPhone/Android Application development is essential. Candidates with B.Tech/MCA/M.Tech in Electronics/Computer Science with 2-6 years of system/network/Security management experience are needed. Skills expected include: Experience in managing Linux & Microsoft networks; Expertise in configuration of Routers and firewalls; Hands on experience in IT Security, VPN’s, Exposure in managing cloud server like Amazon EC2, Strong knowledge of Web technologies and components and how they are installed and troubleshot, Exposure to configuration management tools and practices; Excellent communication skills and vendor management experience. Certifications like MCSA, CCNA Security, RHCE, RHCSS etc is a plus. Candidates with B.Tech/MSc/MCA/M.Tech in Computer Science with 2-6 years of relevant experience in medium to large-scale software development organizations are needed. Candidates are expected to have excellent communication skills. Being a team player is a must. Experience in writing and executing test plans/cases within an agile environment, experience in Performance, Load, Security and Penetration testing with manual & automated testing is required. Hands on experience in tools like Jmeter, SoapUI, Selenium, OWASP ZAP, Nessus, Nmap, OpenVAS is preferred. The candidate must have an engineering degree or should be a post graduate in any discipline. Candidates must understand all SEO levels: technical, on-page optimization and off-page optimization. Candidates must have advanced technical understanding of SEO process flows and have working knowledge of CSS, HTML and SEO tools. Experience in Google Adwords is a must. Experience in web analytics technology and in optimizing SEM campaigns through ad copy, keywords, geo-targeting and landing page optimizations is needed. Have good knowledge about organic and paid search. Candidates must create, develop, copyedit, proof read and manage web content. Excellent verbal and written communication, presentation and interpersonal skills. Develop and manage business collaterals like case studies, white papers, specifications, PR, articles, blogs, newsletters, brochures, presentations etc. Build web content as well as content for inbound marketing.Successfully implement SEO strategies to increase quality traffic and bring revenue. Must be able to create plans to improve search engine rankings while following the webmaster guidelines of all search engines. Perform regular site audits to ensure that priority site sections are optimized. Develop and measure KPIs for SEO effectiveness, including success metrics, processes for measurement, competitive audits and opportunity analysis. Maintain an up to date knowledge with paid search best practices, keyword development tools and industry research. Interested candidates please send your resume to hr2019@citrusinformatics.com.